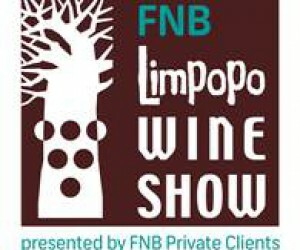 The eighth FNB Limpopo Wine Show takes place in Polokwane on 24 and 25 July and is followed a week later by the second FNB Free State Wine Show in Bloemfontein on 31 July and 1 August. Limpopo and Free State wine lovers have the opportunity to sample some of the country’s top award-winning wines, many of which grace the pages of the country’s most respected wine lists and catalogues. Show visitors can be sure to enjoy recent vintages of well-known wines, discover lesser-known labels and complete the evening with a premium brandy tasting. With over 40 producers exhibiting at both wine shows – Springfield Estate, Oneiric, Welgemeend, Morgenhof, Spier, Groot Constantia, Glen Carlou, Vondeling and Oude Molen Brandy to name a few – wines are also available for purchase via the Shop@Show retail facility which delivers to the purchaser’s home or office. Light meals will be available for sale at the show. Ticket Prices for both shows: R130 (includes unlimited tastings and wine tasting glass); no under 18s, nor babies and prams. A complimentary show guide includes producer information and informative notes on wine variety characteristics, food matching and serving temperatures. Tickets can be purchased via www.computicket.com, Money Market counters in Shoprite Checkers stores and at the door subject to availability. The FNB Limpopo and Free State shows are two of the trio of regional wine shows directed by wine authority, Michael Fridjhon and organised by OutSorceress Marketing. 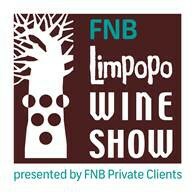 They follow the ever popular FNB Mpumalanga Wine Show held in White River in March. FNB Private Clients is the private banking and wealth management division of FNB. FNB Private Clients partner some of South Africa's wealthiest entrepreneurs and families in managing, growing and protecting their wealth. For information visitwww.FNB.co.za/private-clients. “Effective personal wealth management is all about partnership. Our expertise, experience and personalised service, together with an in-depth understanding of our clients’ financial aspirations provides them with the essential support they need on their journey to grow, manage, protect and enjoy their wealth. FNB Private Clients salutes the winemakers who produce the world-class wines on show and it is for this reason that we commit to our sponsorship of the FNB regional wine shows in 2014”, said Sipho Silinda, Regional Head, FNB Private Clients.